The work of the Cameroon-born Pascale Marthine Tayou illustrates the complications of the global art model in which artists adopt a handful of industry-approved elements — found objects, pop culture, some form of political critique — and inject local details. 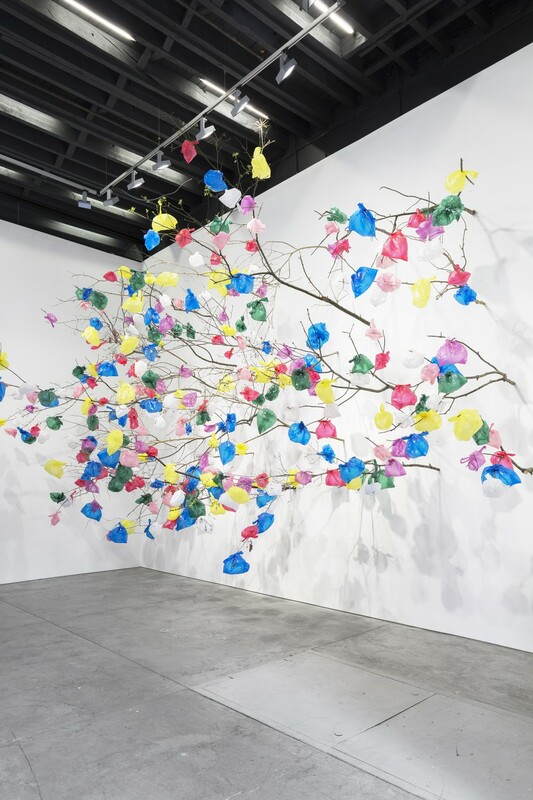 An exuberant wall installation, “Plastic Tree” (2018), stands at the entrance, with plastic bags in bright colors attached to tree branches, a simple and disturbing reminder of how little things, like the single-use plastic bag, add up to huge environmental consequences. The vivid colors of this work also connect with the show’s title, which refers to the “color line” of racial segregation, as well as to King Louis XIV’s original “Code Noir” (1685) decree that defined the conditions of slavery in the French colonial empire.